So, we tried to pack light on our trip to Europe, but really, it was nearly impossible in the face of freezing cold temperatures (hello, 3 degree highs – yes, Celsius, but still!). We ended up taking two medium sized suitcases and one big suitcase (along with carry-ons and an umbrella stroller). Make no mistake. 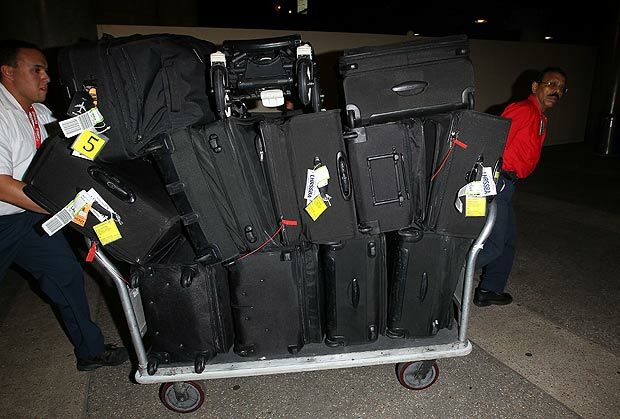 Our luggage was only a fraction of what Victoria Beckham traveled with last month. This was us at our most abbreviated and I’m personally proud of how light we ended up traveling (well, for us, anyway). While I was in the U.K., I read a story about Victoria Beckham flying out of England to L.A. with four children and 12 suitcases. It was written with such outrage, but I found it perfectly reasonable. Still, for our brief jaunt to Paris, we wanted to go even lighter and so we only took one suitcase and left the other two bags in Left Luggage at Paddington Station. Left Luggage is a miraculous place where, for £8 for the first day and £5 for each additional day, this office within the train station will securely look after your bags. Our luggage situation was still unwieldy without a train station trolley, but we managed and enlisted some help from a fellow traveler – my mother in law! We invited her to join us on our mini break to the City of Lights. She took the train from Devon to Paddington to meet us and we caught a taxi together from Paddington Station to St. Pancras Station, where our Eurostar awaited. Once we landed, we quickly made our way through security and customs, picked up our luggage and made a beeline for Heathrow Express, the super speedy train that travels to Paddington Station. I’ve traveled on Heathrow Express so many times that I actually feel like I’ve officially arrived in London when I take it. Something about the smell of the carriage, the lighting and the news segments playing on the TV. It’s just serene and nice! The price, on the other hand, is getting a bit steep! It’s £20 for a single adult ticket, £34 for a return (or round-trip) adult ticket, £10 for a single child’s ticket, £17 for a return (or round-trip) child’s ticket. Kids under 5 are free. We found out later that it is much cheaper, when there are two or more people traveling, to take a mini cab from central London straight to Heathrow. But never mind! There is also something to be said for tradition and I loved the trip. It’s 15 minutes and you’re there! Paddington! 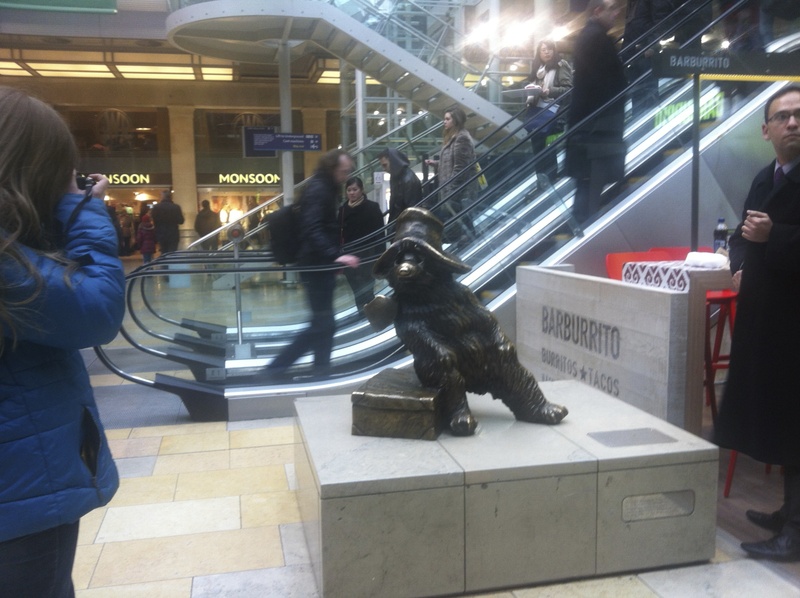 I love the little Paddington Bear statue at the station. There’s also a little Paddington Bear shop upstairs, which sells all manner of Paddington items – books, stuffed toys, plates, cups, aprons, tea towels, chocolates – you name it! Paddington Station also has plenty of options for food. We stopped for lunch at Patisserie Valerie, which had a nice selection of bakery items, sandwiches and desserts. I got a simple ham and cheese sandwich on a baguette and a cappuccino (ah, can anyone explain how Europeans get coffee so very right?!). It was the perfect precursor to our trip to Paris, which was only hours away.